There’s always a lot of moisture that the bathrooms are exposed to. As such, they need to be sufficiently ventilated. If your bathroom isn’t properly ventilated, household mold will find suitable conditions to thrive since they’ll stay humid for long periods after a bath or shower. As a result, the quality of air in the bathroom will be reduced. The presence of mold in the bathroom is an indication of leaking plumbing fixtures or poor ventilation. Hence, you need to constantly check out for damp patches as they may be an indication of leaks present in places that are commonly hard to reach like under baths and shower trays. Fortunately, leaks can be fixed by a plumber in minutes. 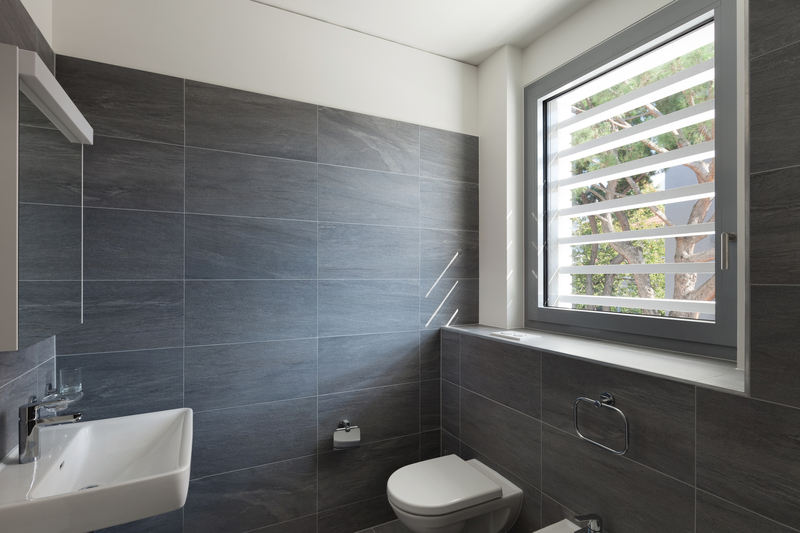 The bathroom window should be kept open during and a short while after showering in order to allow steam to escape. This helps in preventing mold buildup. To prevent damages resulting from moisture getting in between tiles in the bathroom, the surfaces of bathroom tiles should be grouted. The moisture can also cause damage to the adhesive that attaches the tiles. Grout lines are also susceptible to mold and should, therefore, be given special attention when doing a deep clean of the bathroom. Occasionally, there’ll be a need for you to use an appropriate ceramic tile grout, caulking gun and a scraping tool to repair grout. Whether they swing or slide, shower doors need to be regularly inspected to make sure they’re performing optimally. 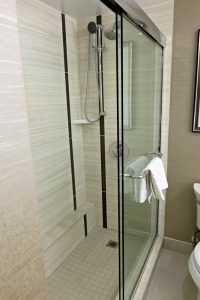 Any standing water that’s observed after a shower is an indication of a problem with the shower door. This could be a failed door track drainage system, a loose seal or the door wasn’t closed during a shower. When the drains of the bathroom are blocked, it can result in bad odors, poor drainage and in some case, you not being able to use the bathroom at all. Unfortunately, blocked drains are a common thing. The good thing is, you’ll rarely need to call a plumber unless your attempts at fixing it haven’t been successful. An easy method to unblock the drains is using boiling water, vinegar, and baking soda. Into the plug hole, pour boiling water, followed by tip a half cup full of baking powder. Then, mix 1-part boiling water and 1-part vinegar down the drain as you cover the plug. Wait for about 10 minutes. Lastly, flush the drains using boiling water to clear the blockage. Limescale is a common issue for many households especially in places where hard water is used. A water softener will help in the prevention of limescale buildup. Any tap that isn’t connected to the system may become blocked occasionally. To deal with this, remove the tap and immerse it in water that has a high concentration of a light acid, like lemon juice. Ensure you clean your bathroom at least once a week. Whenever you carry out the cleaning, never overlook the hard-to-reach places such as underside taps stoppers, plug holes and beneath fittings.